As much as I'm sad that Summer is on its last leg, talking about Fall Trends is a mandatory fashionista discussion and what better way to start this discussion than by recapping the Fall Trend Report from Neiman Marcus?! I had the opportunity to preview their Fall 2015 Trends during their blogger luncheon in the Fashion Valley store, where we were treated to two of my favorites: fashion and food. See what I wore for the luncheon HERE! 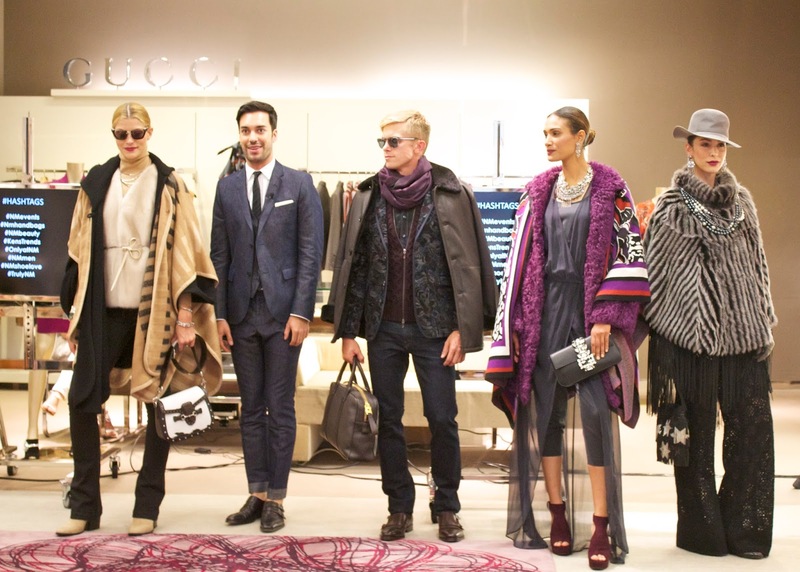 NM Fashion Valley's own Style Advisor, Alex Yáñez, broke down the trend report for us with a fashion show of his beautiful styled interpretations. Here are my favorites and the ones that I see myself adopting. Layering is almost synonymous with Fall, however add a cape or poncho for a 2015 reboot like this one from Eileen Fisher that comes in different colors. Look well-traveled in this global woman inspired mix of embroidery, patchwork, and fringe. This Rebecca Minkoff fringe handbag would be a perfect touch of "folklorica". Flared jeans are back! Alex's tip is always pair your flares with chunky shoes, stay away from pairing them with pointy shoes or your feet will get lost visually. Here are some of my favorite flared jeans from Rag & Bone, or if you are looking for extra flare try these from FRAME. Mix deep tones of red from head to toe and in different textures to add more depth to a look. Get your deep red dress on and top it with this deep red Tory Burch handbag! Winter White look never looked so good, think skiing chic minus goggles like the one below. Add Faux fur as a luxurious component, here is this faux fur scarf that you can add to your outfit, or a faux fur poncho if you want to take it to the next level! 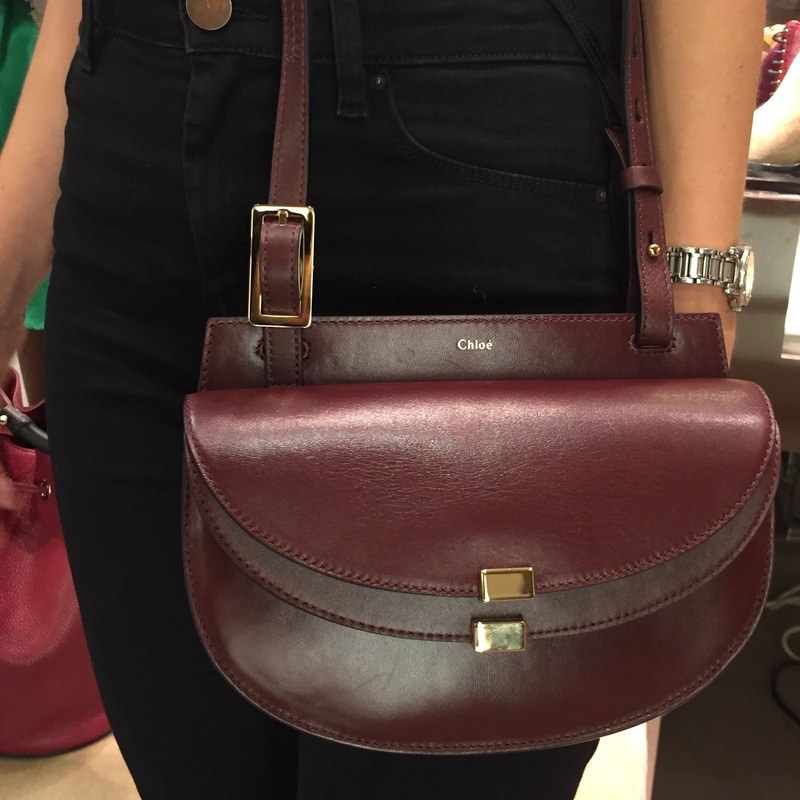 The perfect Fall bag that gives a touch of 70's to a look, especially to those flare jeans! Although the Chloe saddle bags like the one pictured are quite the splurge, here is an affordable Michael Kors version also from Neiman Marcus. Huge Thanks to Neiman Marcus Fashion Valley for hosting me and also to Alex (pictured below with his models) for his beautiful presentation! WOW! I love the fringe bag! Thank you Sarah!! yes those were my faves! I always love fur outfits. It gives us a luxury look, don't you think? Thank you Rizuna!! Will do! Aren't they? Thank you Bash! I'm starting to get so excited for Fall fashion. Great inspiration here - thanks for sharing. Me too! Thank you Jennifer! I'm in love with the all white look! Though bulky fur coats scare me (because I've never worn them before), I think they are absolutely gorgeous! So excited for Autumn, can't wait to layer up! Wow! 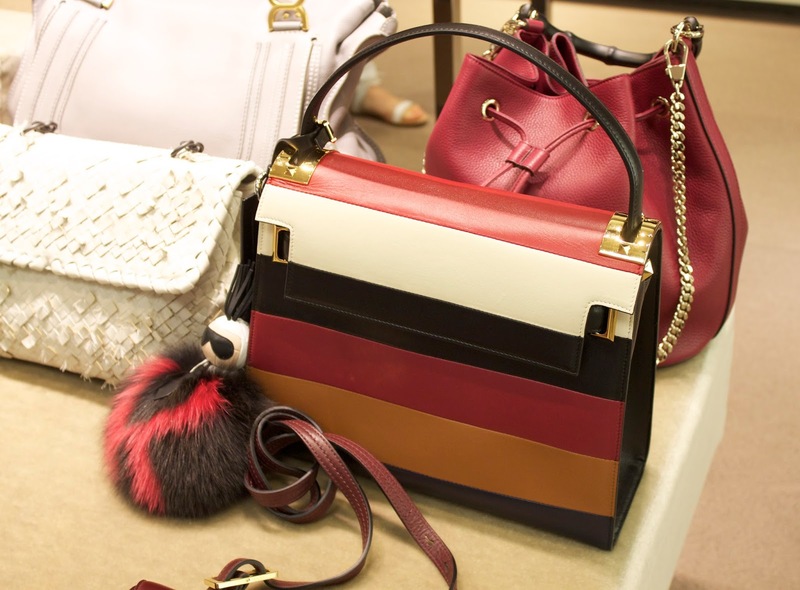 This pieces are amazing and fur always looks so Lux! I know, I love that the faux fur is looking lux nowadays!